KOMPASS is an interactive guiding system in the shape of a touchtable. In collaboration with Thomas Nathan I realized this university project in the summer of 2011. KOMPASS was built with the intention to give information about the range of shops, restaurants, service stations etc. available at the airport and how to get to them. We created this prototype using the diffuse illumination principle in which the imaging system is a digital projector within the touchtable. By employing a micro projector we were able to keep the table quite compact. 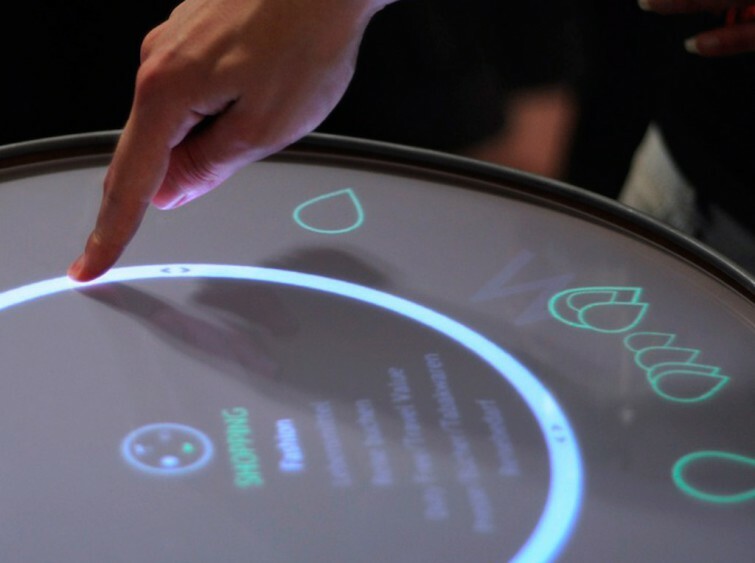 The touchtable interface was developed in vvvv. KOMPASS from Thomas Nathan on Vimeo.